Description Photo courtesy of John Jaeger. 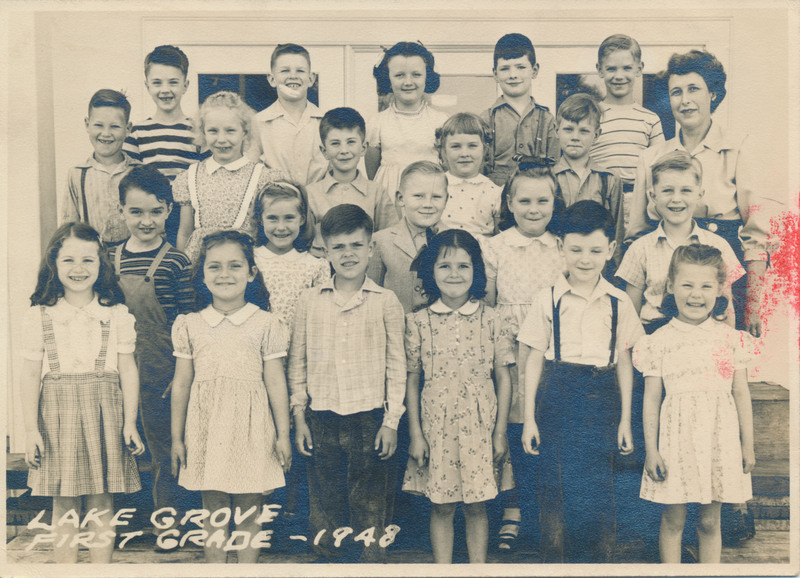 John is the first student on the left in the second row from the bottom. Wearing bib overalls with a striped shirt underneath.